My stand is clear: Every cartoonist should be allowed to criticize parties through his [or] her cartoons. Any disagreement over the said cartoons should be responded in a civilized manner, i.e., intellectual discourses, open debates and other civilized damage-control methods. 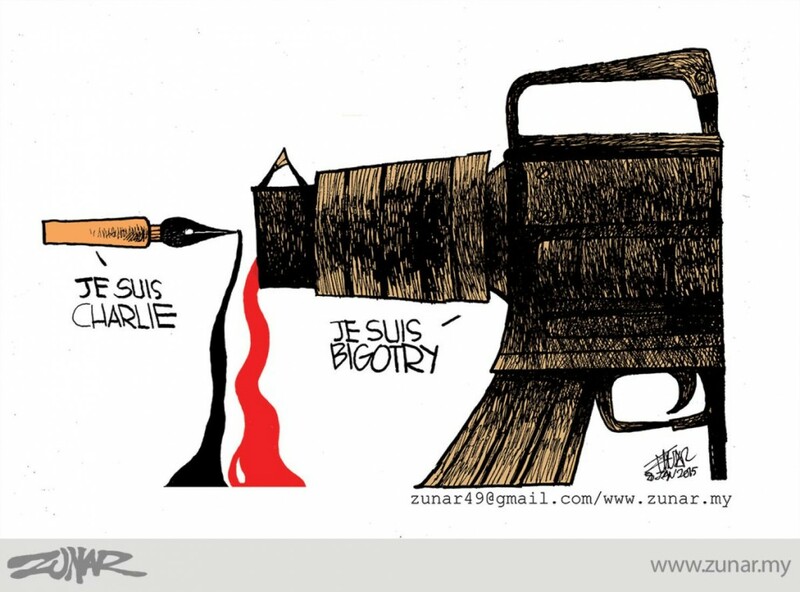 Even though we do not agree with the contents, we should respect the cartoonists’ rights to express their views. He also urged Muslim authorities around the world to end repression of cartoonists in their own countries. This move, he said, would allow “cartoonists to produce cartoons that can show the true image of Islam: a religion of peace, tolerance and moderation.” Indeed, some of the sharpest cartooning critics of Islamic fundamentalists are Muslims themselves; in addition to Zunar, Doaa Eladl, Naif Al-Mutawa, and Suleiman Bakhit are just a few of those who have faced threats for refusing to toe the fundamentalist line in their depictions of Islam. In light of the courage shown by cartoonists around the world in the face of all manner of repression, intimidation, and physical violence, CBLDF heartily backs Zunar’s call for a day to recognize and celebrate them!